This clamp is the ideal tool to measure AC current that goes through your circuit breaker (during opening or closing operations). 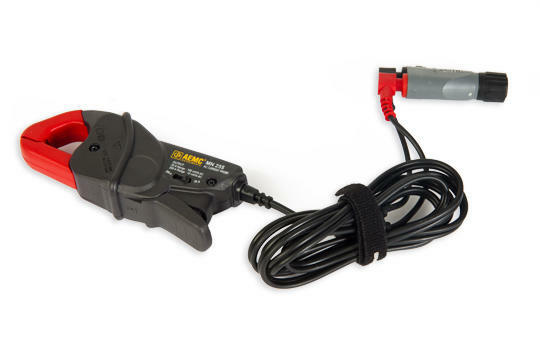 The AC current clamp is a high sensitivity probe with voltage outputs (100mV/A and 10 mV/A) and combine two switch-selectable ranges of 20A and 200A, thus permitting accurate measurements at low and high levels. It has integrated 5ft (1,5m) leads terminated by shrouded banana plugs.